The St. Austell Bowling Club opens its doors every April and from day one the busy schedule begins. Open days are held to try and entice new members to the club and school children attend in groups of twenty in a bid to introduce the sport to the younger generation of the local community. This is all on top of fitting in the club’s league fixtures for its three teams, district and national competitions, and the county side’s practice sessions. The club’s busy schedule is testament to its dedication to the sport and club secretary, Peter Heayns, believes that it is necessary in order to sustain a successful bowling club. “You can either sit back and say you’re not interested and your club fades away or you get out there and do something; we are an active club,” he said. 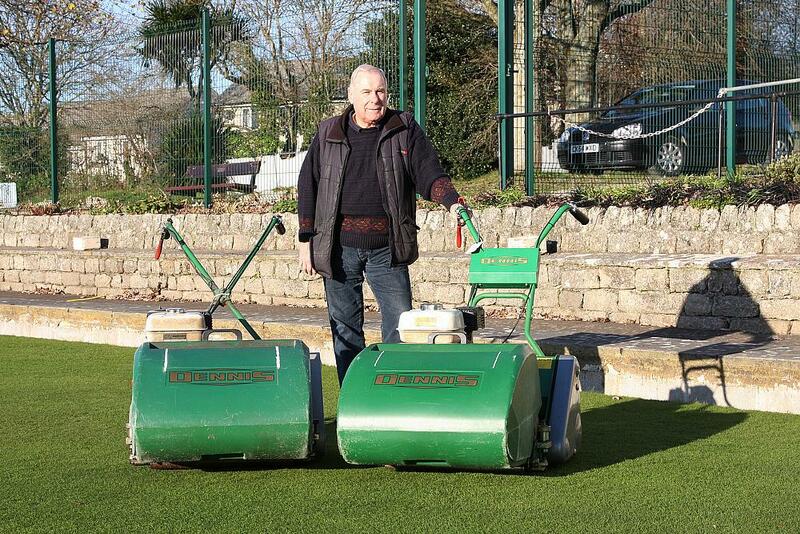 Integral to the success of St. Austell’s Bowling Club is the machinery used as part of the green’s maintenance programme. Club secretary Peter, who looks after the green with fellow members, Perry and Steve Pope, uses a range of SISIS turf maintenance equipment alongside the Dennis FT510 mower; of which he was full of praise for. “The actual operation of the FT510 is excellent and I just love the simplicity of it. I also like the fact that it’s so easy to clean. You can just take the cover off and blow all the grass out – it’s brilliant. “The FT510’s best feature is the interchangeable cassette system; it gives you the ability to easily change them and do different tasks in a very short time,” he said. As Peter says, the Dennis FT510 comes with a range of eleven different heads meaning that one machine can be used for several key maintenance tasks including scarifying, verticutting or brushing. Available with five or ten bladed cutting cylinders, the FT510 is renowned for being the number one choice of many in the bowls community. In fact the Dennis machine was recommended to Peter, by Steve Pope; who not only volunteers to help maintain St. Austell’s but is also the greenkeeper at a nearby golf club. “Steve uses the FT510 at his golf club and he was full of praise for the machine. Once we had it, there was absolutely no reason to change; I don’t think we ever will. There are other models available from different manufacturers, but I’ll definitely be sticking with Dennis,” he said. Peter, who also uses the verti-cutter, slitter, sorrel roller and 10 bladed cylinder cassettes believes that the machine helped them sail through a busy schedule. Just as the machine was endorsed by someone to him, Peter is also more than happy to spread the word of the popular FT510. 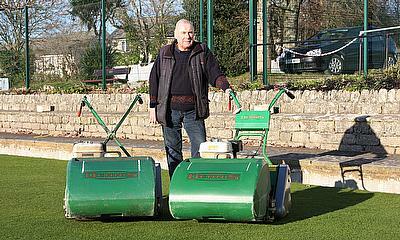 “I’ve already recommended the mower to other bowling clubs and three of them have bought them. If someone comes to our club and asks us how we get our green in such good condition, we show them the FT510. We tell them what we think the advantages are of using it as well as how easy it is to use. “We can easily complete our green within an hour and a half and that’s not rushing. As with most bowling clubs, we don’t get paid – we do it because we love the sport and our clubs. However, you don’t really want to be spending all day mowing. With the FT510 we can start at eight in the morning and be finished by half past nine,” he said.